This is the 100th year of SMPTE and the Annual Technical Conference (ATC) held between 24th and 28th of October was a landmark event celebrated by the industry. We were humbled to be a part of this event and put together our insights about relevance and readiness of VP9 for the online video industry in the form of a manuscript paper and presentation for SMPTE members at the conference. 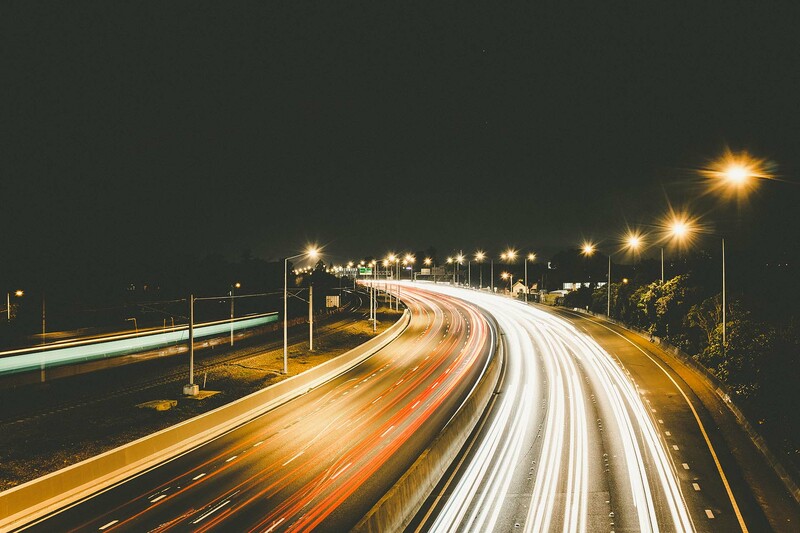 We were represented by Mukund Srinivasan, VP – Cognitive Media Client Business and Head of Americas Business Strategy for Ittiam and were excited to see the level of interest in VP9 and the upcoming AV1 format from the Alliance for Open Media (AOM). Some additional details about the event can be found in our press release on the 28th of October. Although there are a few studies that illustrate the bandwidth savings of VP9, our objective at the conference was to present the state of VP9 encoder and decoder implementations available for integration into online video workflows. To accomplish this, we executed a detailed benchmarking exercise to assess the quality and speed of VP9 (libvpx) against H.264 (x264). 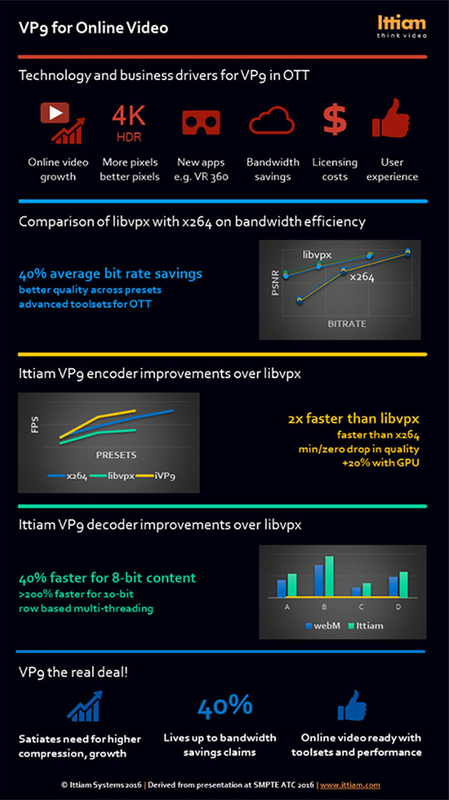 We also benchmarked Ittiam’s performance optimized VP9 encoders and decoders and presented the data to illustrate the level of readiness for real world adoption of the format. Below is an infographic that captures some key takeaways from the presentation. Reach out to us at mkt@ittiam.com for more insights.